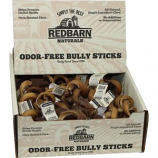 Redbarn Pet Products was started by two friends who believed that there was a better alternative to feeding your dog dry food. They felt that the natural proteins found in fresh meat were important to a dog's health and well-being and set out to develop a food that was meat based, preserved naturally and convenient to use. 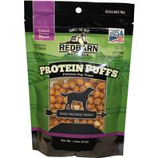 The result was the Redbarn Premium Food for Dogs in the roll format. Single ingredient. All natural. No additives or preservatives. . . Helps promote dental health. Oven-roasted chew. 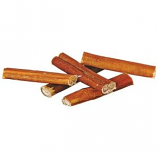 All natural single ingredient chew. 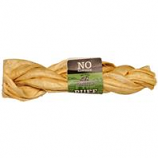 No additives or preservatives. .
An alternative to rawhide highly palatable treat. Free from chemicals preservatives colorings and flavorings. Braided design keeps dog engaged. Great source of protein and low in fat. Helps support healthy teeth and gums. An alternative to rawhide highly palatable treat. Free from wheat corn or soy. Free from chemicals preservatives colorings and flavorings. Twisted design keeps dogs engaged. Helps support healthy teeth and gums. 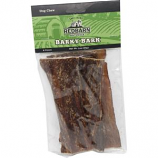 • These Lightly Smoked, Natural Beef Muscles Are Roasted In Their Natural Juices. 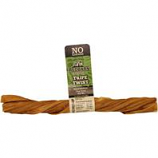 • Highly Palatable, This Treat Becomes Chewy When Wet, Helps Keep Teeth Clean and Provides Hours Of Long Lasting Enjoyment. • Added Antioxidants and Chicken Cartilage For Healthy Joint Mobility. • A Natural Steer Muscle Is Lightly Smoked, Formed Into A Spiral Shape Then Roasted In Its Natural Juices. • Hard Bones Are A Natural Way To Clean Teeth and Exercise Muscles. • Natural Bones Can Be Fed Anytime As A Snack Or Reward. 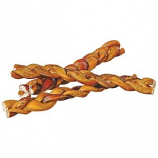 • They Provide An Enjoyable Chewing Experience and Satisfy A Dog S Natural Carnivorous Instincts. 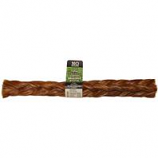 • With Choppers, Barky Bark, Natu-Rollies and Other Wholesome, Natural Treats.